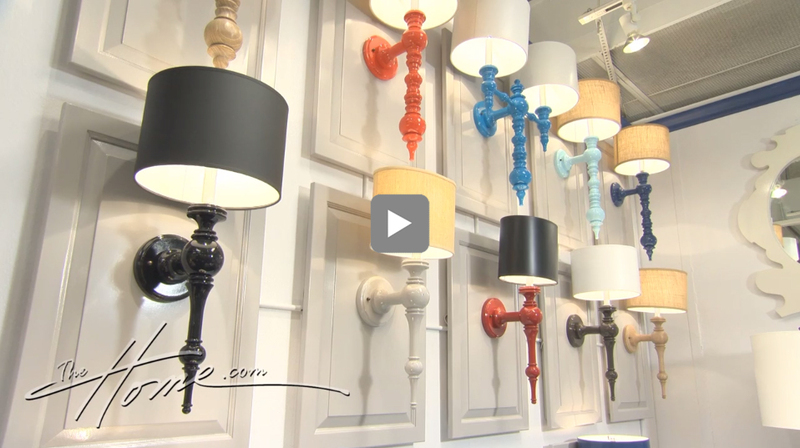 Showing for the first time at the Fall 2013 High Point Market, Dunes & Duchess debuted colorful candle holders and sconces. Stacy Kunstel, the co-founder of the company, gives the background of the company, as well as how the pieces are made. Bright colors on traditional furniture and lighting shapes made this booth a popular stop for designers looking for custom pieces.